Spread out and enjoy the two huge master suites, the high ceilings. This 4 bedroom stunner is nestled in Highland Meadows, an has all the luxury high-end amenities you could wish for. Spread out and enjoy the two huge master suites, the high ceilings, and the architectural flourishes all around. Sit at one of the many fireplaces throughout the open floor plan, and let the day drift away. 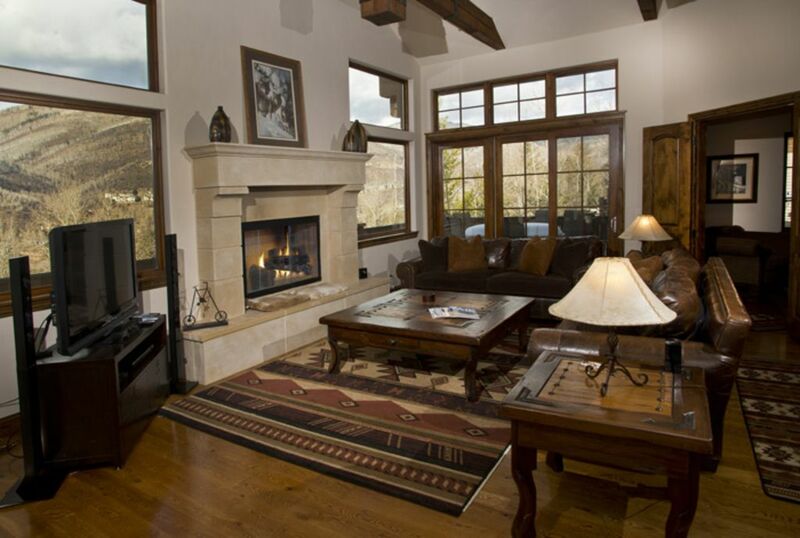 Great for entertaining, and ideal for large groups traveling together- this home is your luxury mountain getaway! The home is perfect for 2 or 3 adult couples with children, or for a large family reunion. The location is perfect for those looking for some mountain seclusion, but still want to be within 5 minutes of the slopes. With this home you get it all! Don't worry about the snow, the heated driveway will melt away all your troubles so you are ready to hit the slopes in the morning. A gourmet kitchen makes meal preparation easy and fun, or bring in a chef and relax! Have it all, but book quickly. This home is a favorite for those who like to book in advance! RentVail, LLC was established by a ski home owner named Rob Rolland, who couldn’t find the kind of representation that he or his guests deserved. Rather than settle for what was available in the current Vail vacation rental market, he decided to create a company to meet his and his rental guest’s needs. This needs-based focus reduced the amount of unnecessary expenses imposed upon both home owners and rental guests. Rob and his team took advantage of technology, personal experience and guest feedback to design the company.